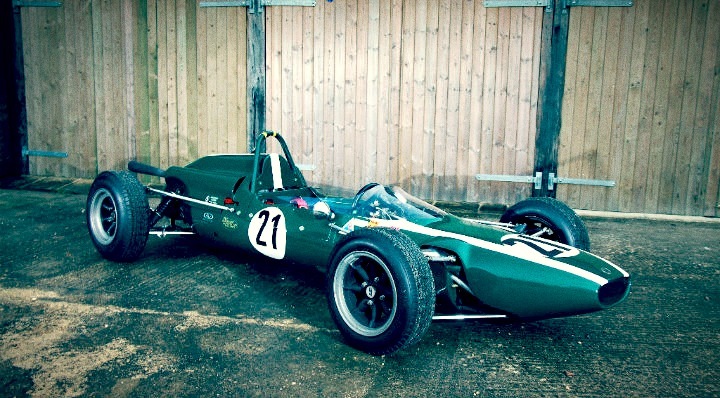 -Understood to be the prototype 1965 Works Cooper Type 75 Formula 2 car. -The only one of eight cars built to run the BMC development Formula 2 engine. -A Joy to drive, very rare; this unique collectors jewel will surely stand out to race organizers worldwide making it a highly desirable entry to a wide array of events. This car is understood to be the prototype Works Car No. 1, FII/1/65, completed in January 1965 and fitted with the experimental BMC engine XSP 222442. The then BMC Technical Director Alec Issigonis re-engineered a 1500cc racing engine conceived by his predecessor Dr Joe Erlich to produce a 1000cc, twin cam, four valve per cylinder, pent headed, four cylinder, fuel injected engine. The engine had a dry sump, a 5 bearing crankshaft, chain or gear driven camshafts; a titanium flywheel with a metal sprayed bronze friction face and even magnesium pistons. Harry Munday did the detail design of the head and the expected power output was 140 bhp at 11000 rpm. For more info on The Cooper Car Company check out Wikipedia article here. The car is no longer being advertised.